Last week I attended a delish little tea at the 12 Apostles hosted by Pantene. It was a chance to meet their specialist hair doc, Dr John Gray, but there’d been some sort of flight stuff up so we ended up on super interesting Skype date. 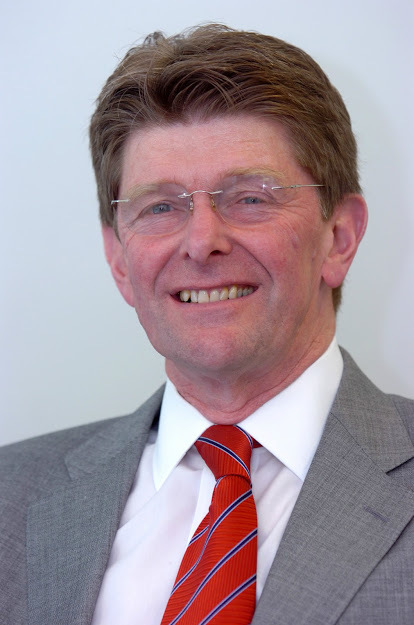 To give you the low down on Dr Gray, he’s a practicing GP and trichologist, the latter a dermatologist who specialising in scalp and hair health. His published several books on hair and is generally regarded as a top hair care expert so this is a dude who knows his shizz. P&G’s trichologist, Dr John Gray. Dr Gray’s answer is simple: ‘You can’t’. Me: But… but… isn’t there something topical you can apply? Or something you can ingest? So that settles that then. I also went on to ask him if there’s any truth to the old adage that, if you only wash your hair a few times a week as opposed to every day, can you ‘train’ your scalp to become less oily? Again, the doc’s answer was ‘nope’. The amount of oil your scalp produces is dictated by your hormones and there’s nothing you can ‘do’ in terms of ‘scalp-training’ to change that. To be honest, I kind of knew the answer to this one already but relished hearing it come from the doc. Due to having fine hair and scalp that gets greasy pretty fast (I’m combo to oily-skinned too), I wash my hair every day. People have often chastised me for this, saying I’d ‘damage my hair’ or that I was only making it greasier in the long run but I’m perfectly happy in how I’m treating my hair and don’t feel like a daily wash and condition is doing it any damage in the least, something the doc also confirmed. After the tea I walked off with a bag of Pantene products of my choice (thank Pantene!) and was happy to snap up the goodies in the Aqua Light range. 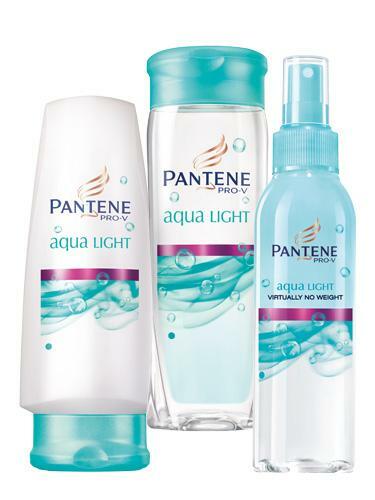 Pantene’s Aqua Light collection, aside from the sham and con, includes a light conditioning mask (not pictured) and spray conditioner. My little sister’s a fan of the shampoo and left it in my shower once and I’ve enjoyed using it ever since. It’s super duper light (perfect for every day use) and dye, silicone and paraben-free. Initially, I thought it was a clarifying shampoo and assumed it would feel SLS (foaming agent) heavy and strip my hair to the point where it would be difficult to brush. The reality is that it’s actually ‘low foaming’* and leaves my hair feeling swishy, clean and light. A very mooi maatjie for anyone with fine hair soos ek. *To clarify, this is definitely not SLS-free. It just feels that way! I.e. You don’t feel like you’ve just used Sunlight dish liquid to wash your hair. Best you make friends with a treadmill – Magnum are now making pints! I’m surprised it’s low SLS – good to know! I 100% believe that oiliness has A LOT to do with hormones, but I still hate washing my hair every day! Oh well! So all that horse shampoo / bob martins shizz is a waste of money & time, then? Sjoe, I’m happy cos it’s been on my to-do list for about a year and can now be scratched off. Happiness is one less thing to worry about. I also want to add that it’s great to hear daily washing doesn’t damage hair BUT daily excessive heat application ie blow drying or ceramic styling still does. So I suppose that needs to be managed. Total waste of time. I used to be convinced something called Prosana made my hair grow faster and even tested it via measuring the regrowth off my highlights off and on it and the results were that it at the time I was on it I was getting a few more mm or so but clearly this wasn’t particularly scientific and the pro reckons any faster growth supplements are bull *cries into hands* Re the heat damage thing, you’re totally right. Invest in a good heat protection spray and go easy on the hot tools where possible. I suffer from hair fall. What would you suggest as this is the cause of hair thinning in my case. I was every 2nd to 3 day, no hair straightning and I try and use natural products as much as I can. Do you have any suggestions for volume of hair and hair fall? Hi hun! Sorry to hear it! Hair fall is awful. I was epilepsy meds a few years back that made me shed hair like a cat. I ended up with the tiniest, thinnest little pony tail and spent much of that time wearing my hair up because I was paranoid that my middle path was becoming wide! To be honest, there wasn’t much that helped. There was no product that could stop the fall either. The only thing that made it stop was coming off of those meds. In your case, you’ll have to identify the underlying reason as to why your hair is thinning (it’s usually hormonal) and resolve that to get it to stop. There isn’t a magic hair thickening pill you can take to stop it unless that pill is what klaps your ‘reason’. Until you figure that out your best advise is to switch to a volumising sham and con and use a mousse to bulk things up. But the actual cause for your hair fall isn’t likely to be affected by how often you wash, whether you heat style or how natural your products are. If hair wants to fall out, it will, regardless of how carefully you treat it. Sending you love! I am also a fine haired girl. I was also ignorant about the fact that not shampooing daily would train my scalp not to become oily so quickly. I used to wash my hair on say Monday, then leave it Tuesday, but heck by Tuesday mid-morning my hair already started looking greasy – yuck! I would clip up half of my hair with a clip to make it look okayish, but was very self continuous about my hair on the second day. My fine hair feels best when it is squeaky clean. I am so happily relieved that I can now in fact wash it daily. Leigh, if you wash your hair daily, do you not then also have to use your GHD daily and does that not make the damage more in the long run? What do you do with your hair on most days? I appreciate this post, because I always stand in front of the shampoo at Dischem and never know what is the best shampoo to use for my fine hair. I also tried the whole ‘wash every second day’ thing but that was VERY short lived. By midway through day two I’d look like a total grease monkey – as though I had gel in my hair or something. So gross. So ja, I wash it every bloody day now and I’m very happy with that. I’ve always totally ignored people who’ve told me to do otherwise but it did grate me. So now, having expert validation, makes me feel sooo much better. Re heat styling; I almost never use a ghd but I do use a curling wand maybe twice a week, three times max. I then make sure I’ve blitzed my hair with a heat protectant spray first. As far as blow drying goes, I only really do that in winter and try to towel dry as much as possible beforehand to reduce heat exposure. Thanks for your reply, Leigh. May I ask what you do with your hair on the days you do not use your curling wand? If you do not use a GHD for styling, do you then use a hairdryer and round brush to do a blow wave on the non-curling wand days? Thank you for the tip of towel drying as much as possible. I just let it dry on it’s own. My hair is naturally pin straight. In fact, in summer, I don’t use a hairdryer at all. I just towel dry it, comb it into a side path and give it a few hand ruffles until it’s dry. It then looks like it’s been blow dried straight but it hasn’t. I literally just have stick straight hair. Eeek! Please don’t tell me you’re using your ghd on wet hair? Please be very, very careful of doing this. Ironing wet hair causes steam damage that ultimately creates little bubbles and blisters in your hair shaft. This leads to brittle, fragile hair that literally breaks off. Don’t do it! Hehe thank you for your care. 😉 No, I dry it with the hair dryer until it is dry and then make it sleek and polished with a GHD. I was just thinking that perhaps I should just dry it with the hair dryer and brush it and leave it as you do, so I can minimize the heat damage. You are actually very lucky that you can leave your hair to dry and it looks like it has been blow dried straight. Maybe my hair will act the same. I think it does look a bit tacky when I do it though. I need to get that polished look with a GHD. Thank you for taking time to answer me, I learn a motherload from you. Leigh, last question on this! May I ask which hair products you use everyday when you style your hair daily? You say you don’t have to blow dry it since it is pin straight, do you still use products though, like root lifters, mouse or hair volumising sprays? Hi again! I don’t really style my hair daily. In winter I blow dry it in the mornings only ‘cos I know it’ll take forever to dry on its own when its cold. Sometimes I use a root lifter or volumising mousse on a whim but I don’t have a favourite brand or anything. I would like to know where can I buy the women’s treatment (Monoxidil 2%). Hi skat! It’s Minoxidil and you can get it from any pharmacy without a script. Just ask the pharmacist. It’ll be kept behind the counter. Leigh, why are you envious of girls with fine hair -but lots of it- ? What is the reasoning behind this? Also, do you have any idea where I could buy elastic bands that will not break my hair? Fine hair looks thinner, but not if you have lots of it. Invisibobble is a safe bet. Google it to find local online retailers. Oh, I hear, I was just wondering why you would say that you envy girls with fine hair, but lots of it. Most girls desire thick hair, like the girls in hair advertisements. You’re the first girl to say you envy thin hair, so I was wondering why.